Section 8 delays are leaving more than half of landlords with no alternative but serve Section 21 notices, according to new research. 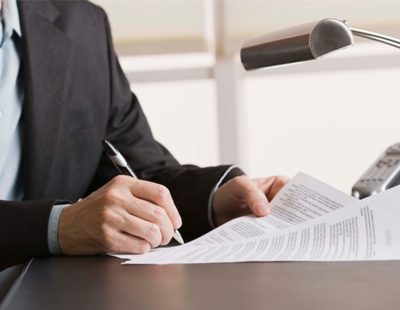 The survey carried out by Landlord Action revealed some interesting facts when it comes to the reasons landlords serve Section 21 notices, with 73% of those who responded stating that they have had to serve a Section 21 notice, most commonly due to rent arrears. More than half - 56% - have used Section 21 because their tenant was in rent arrears. According to the data collected, there were no other common specified reasons for landlords to use it, with 22% of landlords simply selecting ‘other’. Other specified reasons for using a Section 21 included tenants requesting their landlord obtain a possession order (10%), landlords needing to refurbish the property (5%) or sell it (4.5%). Just 2% wanted to move back in themselves and only 0.6% said it was because the tenant had complained about disrepair i.e. ‘Retaliation Eviction’. Critics are calling for Section 21 evictions to be banned, arguing that they tilt the balance of power towards landlord. But the study found that Section 21 is absolutely crucial in terms of supporting landlords, and it has been suggested that without it, many landlords may leave the sector for fear they have no power over their own property. Paul Shamplina, founder of Landlord Action, believes many of these ‘unspecified’ reasons, along with rent arrears, could be pursued under Section 8 but landlords are forced to rely on Section 21, even when there is a breach of tenancy, because they have very little faith in the court system. He commented: “Not only is using Section 8 already more time-consuming, tenants can delay the process further for landlords by counter-claiming. Interestingly, 43% of landlords said their tenants vacated the property when served with a Section 21 notice, but 42% had to go to court to obtain possession. The government has put forward a consultation on a proposed introduction of a specialist “Housing Court”. It believes this will provide greater access to justice for both landlords and tenants and give landlords confidence to offer longer, more secure tenancies by making it easier for responsible landlords to regain possession of their tenancy, should they need to. However, as part of this, Shamplina predicts that the use of Section 21 is going to be heavily diluted and is concerned that without major reform to the Section 8, some landlords will exit the market. He added: “Section 21 gives landlords and mortgage providers the reassurance and flexibility to recover their asset if they need to. To abolish it, or even dilute its current use as has been suggested, will require significant reform to Section 8 which offer reassurances to landlords that if they had to use the Section 8 route under grounds for rent arrears, moving back into the property or selling it, there would not be significant delays in the court process. Landlords should be aware that the recent announcement that the Tenants Fees Ban will come into force from 1st June this year will also affect the use of Section 21. After this date, if a landlord or letting agent makes a charge that relates to a banned fee, they must return this within 28 days, or it will render a Section 21 ineffective. Poll: Are you concerned that the use of Section 21 is going to be heavily diluted? Section 21 is not the no fault eviction, it's used because section 8 is not fit for purpose, section 21 gets non paying tenants out quicker, is easier and cheaper, get them out then go for the money claim online to give them a ccj on their records. Unless selling up or moving into the property Landlords do not willy-nilly evict Tenants without good reason a many of the housing charities would have you believe. 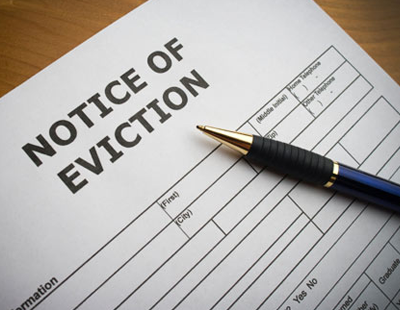 Evicting a Tenant is an expensive process that no Landlord undertakes lightly. And if the Landlord is going to re-let he's not going to to do for the 'fun' of evicting the new Tenant in 6/12 months time. Opponents of Sec.21 need to get real. S8 can be defeated everytime by the simple expedient of reducing rent arrears to 1 month just before a PO hearing. Relying on other grounds are not easy which is why S21 is so often used. Lenders will become very picky over who they allow LL to let to if S21 goes. It could even be that lenders will require tenants to qualify for RGI. Even with S21 it can take over a year to eventually evict. Lenders are naturally risk averse and I could well see that Lenders will start to reduce their exposure to the BTL market. The eviction process is useless enough as it is. Making it even more difficult will just be the final straw for many LL and lenders. Do you think Stupid Shelter might get the message that S21 is just the process needed to recover a property. It is NOT the reason for eviction!!!!!!!!!!!!!!!!!!!!! Oh yes Luke you know more about the deficiencies of S8 than me!! Having said that the one eviction carried out by solicitors on instruction from the RGI insurance company they used S8. Tenant obviously got away with it and is now on HB in a nearby street!! £89 for the annual policy. Problem is those tenants that can qualify for RGI are as rare as rocking horse s###!!!!! So if Tenants & Shelter wants all this security of tenure no problem, buy your own but don’t expect me to work myself into an early grave to keep a roof over their heads. They will soon find that Banks will not have to put up with nonsense, but add huge penalties willy nilly and no problem getting repossession either, no specific kangaroo Court need for them.